What Is A Driver’s Daily Log? Now that we have finished talking about the hours of service regulations, it’s time to talk more about what you must do to keep track of your time. This is done in written form, unless your time is being recorded electronically using an automatic on board recording device, which we will explain later. The written form you must fill out as you do your work is called the “record of duty status." Common names for this form are the driver’s daily log, log, or logbook. 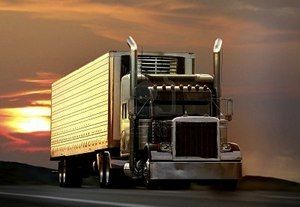 OTR drivers must fill out a log for each and every day whether they worked or not. Everything you write on the log must be true and correct. You must make all of your own entries (unless something has been preprinted on the log). You also need to create two copies of your logs - the original copy, and a second copy that's normally created by using carbon paper placed underneath the original copy to duplicate the original. Authorized government inspectors may check your logs at any time. You will be required to keep a log for each of the previous 8 days. The current day’s log must be current to your last change of duty status. Inspectors check your logs to see if you have violated the hours of service regulations. Violations of the HOS regulations can result in being fined and/or placed out of service. Who Must Complete a Log? Any person who is subject to the safety regulations and drives a commercial motor vehicle (CMV) must complete a logbook page for any day that includes CMV driving and for the prior 7 days. While there are some unique exceptions for specific industries such as the oil industry, the two exceptions listed below are the most commonly used. Drive within a 100 air-mile radius of your normal work reporting location. Return to your work reporting location and are released within 12 consecutive hours. Follow the 10 hour off duty and 11 hour driving requirements. Your motor carrier must keep time records of the times you report for and are released from work each day, and the total hours on duty each day. You do not have to have these records in your truck. This exception is optional. For example, you and your employer may choose to use a logbook even though you are within the 100 air mile radius, so that you do not have to be released from work within 12 hours that day. Drive a truck that does not require a CDL. Work within a 150 air-mile radius of your normal work reporting location and return there each day. Your motor carrier must keep time records of the times you report for and are released from work each day, and the total hours on duty each day. You do not need to study or memorize this. Authorized government inspectors may check your logs at any time (this means they do not need probable cause). You must have a log for each of the last 8 days. The current day’s log must be current to your last change of duty status. Violations of the hours of service regulations can result in being fined and/or placed out of service. You will not be quizzed about any of the logbook exceptions. 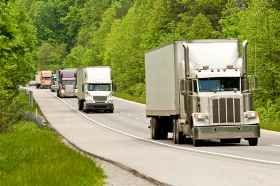 The information is provided for your knowledge, but as an OTR truck driver you will never use any exceptions. If you were to qualify for either exception listed below, your employer would certainly tell you. You don't need to memorize this term. Nobody in the real world uses it. Once again, this information is being provided for your general knowledge. If you are planning on becoming an OTR driver, you will never use this exception and we are not going to ask any test questions about this exception. This is informational only. Which statement below is false? You are required to account for every day on your log, even days off, unless you are covered by a logbook exception on any of the days. The log must cover all 24 hours of every day. Authorized government inspectors may check your logs at any time. You must have a log for each day of the last 8 days that you were required to log (you might have been under an exception on some of those days). The current day’s log must be current to your last change of duty status. Inspectors check your logs to see if you have violated the hours of service regulations. Violations of the hours of service regulations can result in being fined and/or placed out of service. How many days are you required to keep your completed logs? Authorized government inspectors may check your logs at any time. You will be required to keep a log for each of the previous 8 days. The current days log must be current to your last change of duty status. Inspectors check your logs to see if you have violated the hours of service regulations. Violations of the HOS regulations can result in being fined and/or placed out of service. Logs for each of the previous 7 days. Law enforcement officers and DOT inspectors will usually issue a citation if you do not have all of those logs to show them. How current must your logbook be? The current days log must be current to your last change of duty status. Quite a few truck drivers are written citations or are placed out of service because their logbooks aren't current. These citations are the result of laziness. You must be current to your last duty status change. So if you are randomly stopped by a police officer and your logbook is checked, it should when you last changed into the driving status. Any person who is subject to the safety regulations and drives a commercial motor vehicle (CMV) must complete a logbook page for any day that includes CMV driving and for the prior 7 days (unless under an exception on some of those days). If you are planning on becoming an OTR truck driver, you will not qualify for any logbook exceptions and will be expected to maintain an updated and current logbook at all times. How many days worth of logbook entries must you have available to show during an inspection? You must have a log for each day of the last 8 days that you were required to log. You must be able to show any law enforcement officer or DOT official your current log as well as the previous 7 days of completed logbook entries (8 days total).